Welcome to the Vine Path Blog! From here on out this will be the place for you to keep up with the goings on of our wine club. We’ll be posting these once a month to give you a picture of what our club is really about and what kind of wines we support through this little project. Thanks to everyone who’s supported the growth of our club for the past year, we’re excited to get to sling more genuine juice your way in the coming year. Now, on to the wines. This month we’re pulling out wines perfectly suited for this deep freeze we’re currently experiencing. They’re the kind of wines that you’ll be happy to stay inside with while reading a book, playing a boardgame, mastering a craft, or watching Snowpiercer for the umpteenth time. We wanted to prove two things with this collection; one, that white wines are still great in the wintertime, and two, that high alcohol wines are not necessarily out of balance. For this, we go back to France to enlist the help of Domaine Arletaz, Chateau de Merande, and l’Aitonnement. In order to prove our first hypothesis, that white wines are comforting in the winter just like chunky reds, we’re checking out the two wines from the snowiest, most frigid part of France, Savoie. This region is pressed up into the French alps on the border with Italy and Switzerland just south of Jura in eastern France and it’s one of last ‘undiscovered’ places in France for great white wines. Chateau de Merande is located in Arbin where the brothers Genoux have been growing Roussanne, Altesse, and Mondeuse biodynamically for the past 10 years. We want to show you their Altesse. This grape excites the hell out of us! It represents a minority of plantings in the region but oh boy are they good. The grape produces wines with intense, rough, textural minerality and interesting flavors like almonds, bergamot, and quince. This wine, like all great Altesse, is definitely ageworthy, though it is drinking great today. We’re hoping to be able to get our hands on more wines from this Chateau in the future since they’re so damn tasty. Over on the western tip of the Massif de la Maurienne are the vineyards of Aiton and the new winery project of Maxime Dancoine called l’Aitonnement. Like Chateau de Merande, the vineyards are handled biodynamically and the wines are vinified without additions or chemical adjustments beyond minimal sulfur at bottling. Stylistically Dancoine’s wines show, as you can see by the label, in a more contemporary way. Don’t be mistaken though, these wines are as authentic as they come. For Big Bang, our second white for this month, they blend the varietal Altesse with Jacquere in a perfect 50/50 combination. Jacquere is Savoie’s most widely planted grape, accounting for 50% of the total plantings in the region. If Altesse produces mineral driven, textural, full, ageworthy whites, Jacquere produces the opposite. The wines are typically fresh, lively, energetic, and aromatic with brisk acidity and low alcohol. Big Bang is the best of both worlds without getting muddled or confused. Both of these wines are perfect winter whites for their rich textures and their honey-ed, almondy, yeastiness. For our second point we must confront a shift in ideology. We’re seeing the world of red wines reposition their values towards lower alcohol wines, which we’re honestly loving here. Most red wines with ABVs under 14% have better balance and are simply more refreshing than most reds over 14%. For the most part, we don’t even want to drink wine that hot but there are exceptions like certain wines made from great Grenache. Domaine Arletaz was established only a few years ago in the Languedoc right on the border with Corbieres. 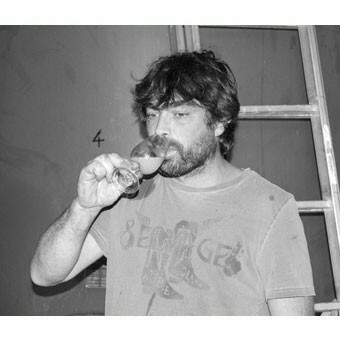 Here Benoit Arletaz produces Carignan, Mourvedre, and Grenache from century-old vines in his 5.5 hectare domaine. Benoit is a fanatic of biodynamics and natural winemaking though I’d doubt you could tell from tasting the wines. Despite the fact that the wines are sans soif, his wines are undoubtedly stable, clean, and focused, with excellent expression of the fruit. ‘Opoul’ is a cuvee of 100% Grenache from a single plot in his holdings and it clocks in at 14.5%. Despite that, the wine doesn’t come off hot, instead it comes off in a comforting way. The youth of this wine (it’s only a 2017) shows clearly with it’s massive chewy fruit and the booze gives the wine fuller texture and weight. The cuvee ‘Manon’ is a similar wine in style though it itself is a blend of Grenache, Mourvedre, and Carignan. It’s ABV is even higher at 15%! But just like Opoul the wine retains its balance somehow. What’s important here is that both of these cuvees have loads of ripe fruit and soft tannin which incorporate well with the effects of the high alcohol. Ultimately, these kinds of wines will create some of the most comforting moments during icy times like these so I’d encourage everyone to maybe moderate their criticisms of high ABV reds just a tad.